The Boston Police Department is seeking the public's assistance in efforts to locate 64-year-old Vivien Correa who suffers from Alzheimer’s Disease. 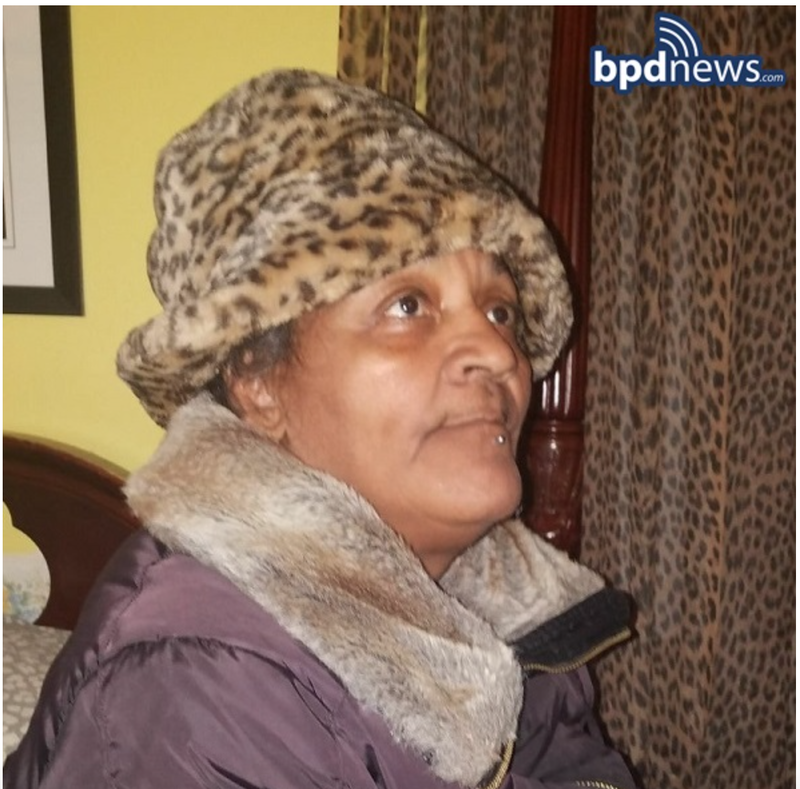 Ms. Correa was last seen at about 2:00 PM on Saturday February 10, 2018, near her residence at 940 Parker Street in Jamaica Plain wearing an outfit similar to the one pictured above. Ms. Correa is described as an Hispanic female, about 5’2” tall and about 185 lbs. Vivian may not consistently recognize or respond to her name at this time. While she speaks both Spanish and English fluently, Ms. Correa may be more likely to conversate in Spanish if approached. Vivien is known to frequent the areas of Egelston Square and 1010 Massachusetts Avenue. Anyone with information regarding the whereabouts of Ms. Vivian Correa is urged to contact 911 or District E-13 detectives directly at (617) 343-5628. If seen on the MBTA please call 911 or 617-222-1212.